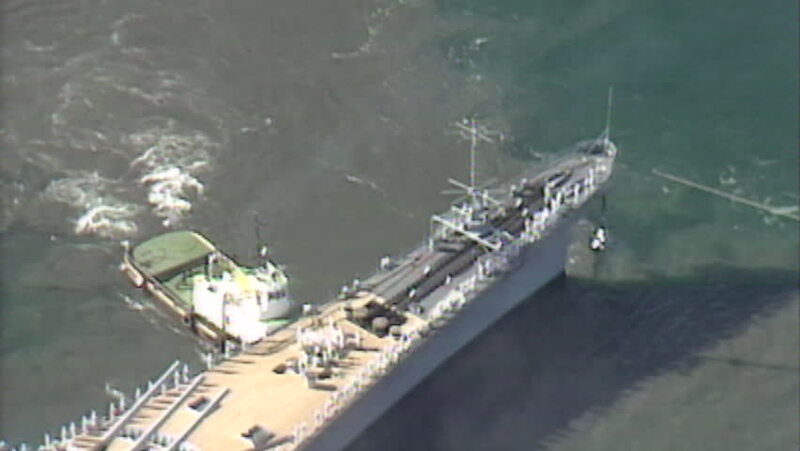 Archive 1991 USS Missouri leaving Fremantle Harbour ariel tug pushing bow. hd00:08Alligator or Crocodile was fighting for they food. hd00:10Close up shot with the anchor and the bow detail of a black ship, in the port and some greenish reflections in the waters.